I’ll be interviewing interesting people who work in the property management industry and vendors who help us run our businesses more smoothly. You’ll learn tips and tricks about leasing, marketing maintenance and beyond. Leasing Leah and Casey Van Zandt talk about what makes you promotable in your Property Management Career. ⁣ After today’s guest was crushing it in the corporate student housing world and climbing the ladder at a breakneck pace, she’s the creator of The Mindful Hustle; her name is Casey Van Zandt.⁣ ⁣ Casey is a High-Performance Mindset Coach to Executives and Corporate Teams and a leading national Student Housing Consultant. She’s also a speaker and yoga instructor. Instagram: @caseyvyoga⁣ ⁣ Casey is the queen of work-life balance and loves introducing “life-balance” to successful entrepreneurs, executives, and corporate teams everyday lives. She believes that when you experience new success, although no easy task, it is just one step of many and isn’t even always the hardest step. She helps successful entrepreneurs and executives maintain their success and scale their businesses/careers for the long haul, so they still like their business/profession and want to show up for it 3, 5, 10, 20+ years from now and most importantly show up balanced.⁣ ⁣ Her spirit animal is the sand dollar and has a collection of hundreds she found on her afternoon seashell adventures in Santa Monica. She loves yoga pants, chapstick, and is hands down obsessed with mushroom coffee + lions mane. ⁣ ⁣ If you’re looking to build the kind of life that lights you on FIRE, stay tuned until the end of this show for a very special announcement on how we can work together! ⁣ ⁣ For full episode notes on this and all other episodes, go to www.LeasingLeah.com and leave us comments @LeasingLeah on Instagram. **Visit www.Caseyvanzandt.com/bali-ig to learn more about how you can join Casey in Bali! Eric Orsbon started his career is Real Estate as a Real Estate agent over 17 years ago. He then became a Leasing Consultant in the Property Management field and began moving throughout the country as he rose through the ranks of the industry. He is now the Regional Vice President of Operations for BMOC, Inc. and also my husband and co-worker! Eric focuses on the operations side of the business while I focus on the marketing side. On this episode, Eric will discuss his career advances and look for a bonus 10 minute episode coming soon where he discusses what you can do to make yourself promotable as an employee! 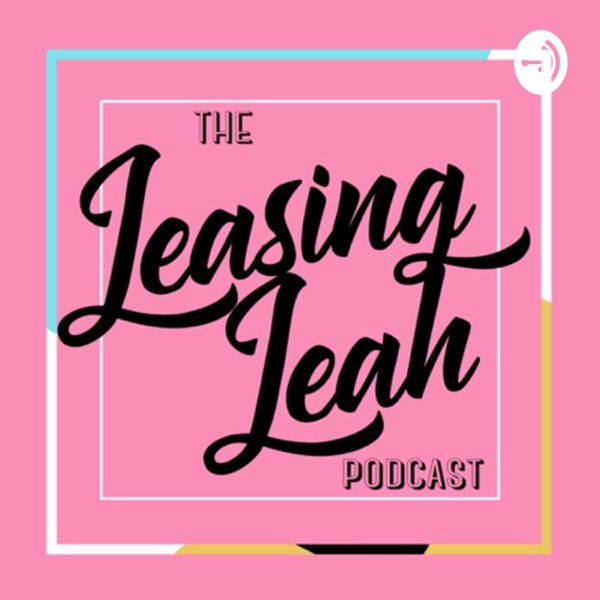 Coming soon, Leasing Leah Podcast!